The DNR has announced the hiring of its new big game program leader -- one of the more highly visible positions at the agency and one of prime interest to the state's 500,000 deer hunters. Leslie McInenly of Stillwater, a newcomer to the DNR, will have the lead responsibility for managing deer, elk and moose seasons and populations. She replaces Lou Cornicelli, who was promoted to wildlife research manager. For the past six years, McInenly has been on the staff of the Minnesota Forest Resources Council, a state board charged with providing forest resource policy advice to the governor and Legislature, coordinating cross-ownership landscape-level forest management planning, and developing best management practices for forest management. Prior to that, she spent four years in Alberta working as a collaborator on the Central East Slopes Elk Study, a project established to evaluate elk translocation efforts and habitat use. As part of the study, McInenly also worked with provincial biologists to improve elk population estimates in Alberta. The primary responsibilities of the big game program leader are to manage deer, moose, and elk seasons, and work with stakeholders to modify and improve seasons and regulations to address the expectations of a diverse public. 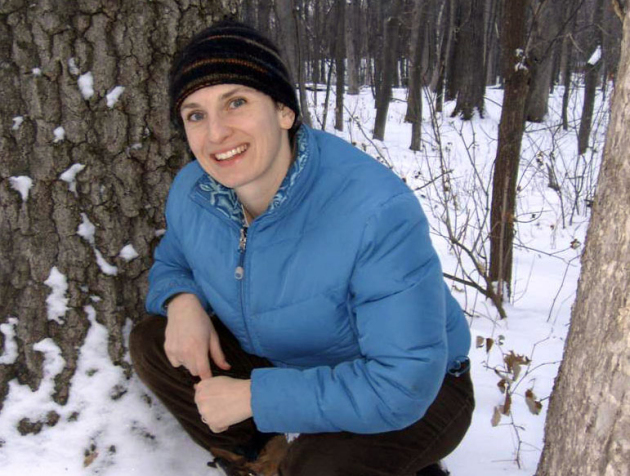 McInenly earned her Bachelor of Science degree from the University of Wisconsin - Stevens Point, majoring in wildlife management and biology. Her master’s degree thesis focused on the influence of changing elk migratory patterns on native prairie biodiversity and nutrient cycling. She also worked on range of game and nongame species projects in several states before working in Alberta. Through her experience working in private, public, and nonprofit sectors, McInenly has demonstrated the ability to work and communicate with a diversity of stakeholders, colleagues and clients, Merchant said. McInenly assumes her new duties on Nov. 15. She grew up in the St. Croix River Valley and resides with her family in Stillwater. Leslie McInenly of Stillwater, a newcomer to the DNR, will have lead responsiblity for managing deer, elk and moose seasons and populations. She replaces Lou Cornicelli, who was promoted to wildlife research manager.